And so I shall, call it a shell! I once made a similarly-styled knit shell in candy corn colors but I haven’t tried this one out yet. I’d love to make it up in the originally-intended itchy-scratchy “Dawn” Knitting Worsted sometime. II believe they were called Middy Tops back then. 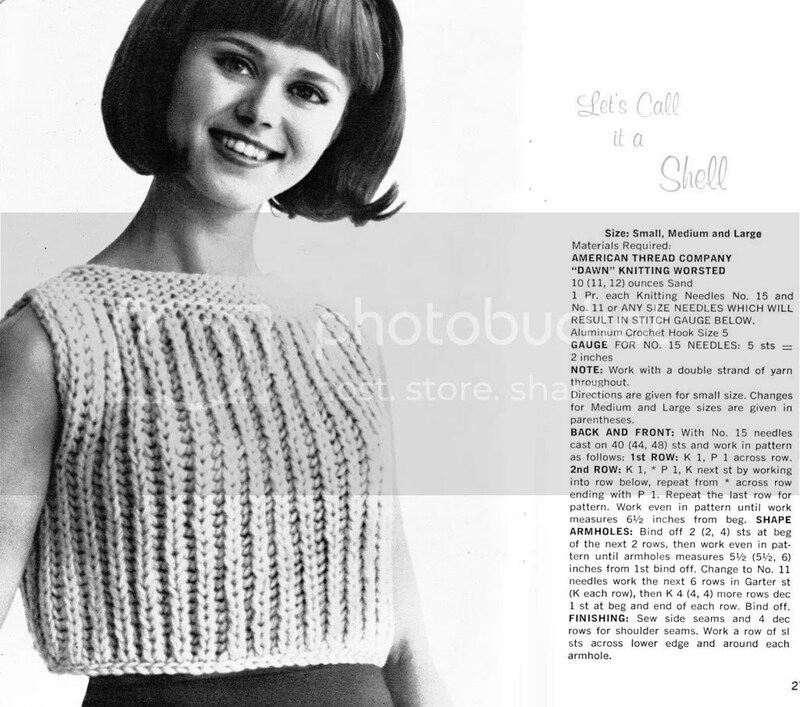 Please help I have been trying to find the free pattern “Let’s call it a Shell” and have been unable to locate it. If you could e-mail it to me or tell me where to find my Daughter would be so happy.